* Please note that most Summer 2018 deadlines have now passed. 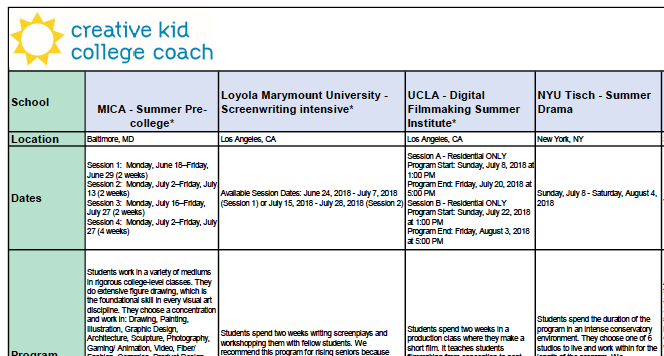 Creative Kid College Coach catalogs a wide spectrum of pre-college summer arts programs across the United States in many disciplines: fine art, digital art and design, product design, fashion, film, screenwriting, acting, musical theater, technical production, creative writing and dance. You can always contact us for more help and consultative guidance on finding and applying to the best pre-college summer program for you.